Mar. 14, 2019—Ruth Lehmann, PhD, a world-renowned expert on the biology of germ cells, which generate eggs and sperm, will deliver the next Flexner Discovery Lecture on Thursday, March 21. Mar. 14, 2019—Ray Cruz, a patient at Monroe Carell Jr. Children’s Hospital at Vanderbilt, performed the national anthem at the Nashville Predators Hockey Fights Cancer night. Mar. 12, 2019—Howard W. Jones III, MD, professor of Obstetrics and Gynecology, former chair of the department and a world-renowned researcher into the causes and treatment of gynecologic cancer, died unexpectedly in his sleep on Saturday, March 9. He was 76. Mar. 7, 2019—Monroe Carell Jr. Children’s Hospital at Vanderbilt reopened its hallmark grand staircase and full lobby Feb. 25, marking a significant milestone in the hospital expansion which is entering the final stages before the first two new floors open later this year. Mar. 7, 2019—The release of neurotransmitters and hormones in the body is tightly controlled by complex protein machinery embedded in cell membranes. Mar.  7, 2019—Physicians and researchers from across the country came to the Vanderbilt Symposium on HPV Infections and Associated Cancers on March 1 to discuss screening and prevention strategies for the human papillomavirus (HPV). Mar. 7, 2019—According to a new study by Vanderbilt researchers, normal brain aging patterns in patients with a psychotic disorder occur at an accelerated rate, impacting the patient’s cognitive functioning and suggesting treatment intervention in the early psychosis period may improve long-term outcomes. Mar. 7, 2019—Stephen Hann, PhD, professor of Cell and Developmental Biology, died Feb. 27. He was 67. Mar. 7, 2019—Although increasing evidence shows that children with autism spectrum disorder (ASD) can be accurately identified during their second year of life, the average age of diagnosis in both Tennessee and across the country remains well above 4 years of age. Mar. 7, 2019—The 11th annual Shade Tree Trot, presented by Messer Construction and Carrabba’s, is set for Saturday, April 20, at 9 a.m. on the Vanderbilt campus. Mar. 7, 2019—Vanderbilt’s Jesse Ehrenfeld, MD, MPH, right, testified Feb. 27 before the U.S. House Armed Services Committee on military policy affecting transgender service members. Mar. 7, 2019—The opportunity for eligible physicians to vote in U.S. News & World Report’s “Best Hospitals” survey will remain open through March. Online voting takes place on Doximity (www.doximity.com). To participate, eligible physicians must complete their survey on Doximity before the close of the voting period.